Expand your business with custom designs without the headache of spending hours in Photoshop. Expand your photographic offering with H&H’s knockout sports program. No longer do you have to choose between the “take a knee and grin” sports photos or spending hours in Photoshop to get elevated designs. Inspired by professional sports, our Knockout Sports has the automated workflow that allows you to offer this next-level product offering to your clients. Learn how to work simpler and faster with exciting product solutions engineered to generate excitement with your clients. We all know how the weather can wreak havoc on your shooting schedule. Don’t let bad weather or denied access to the field keep you from delivering a fantastic looking product. 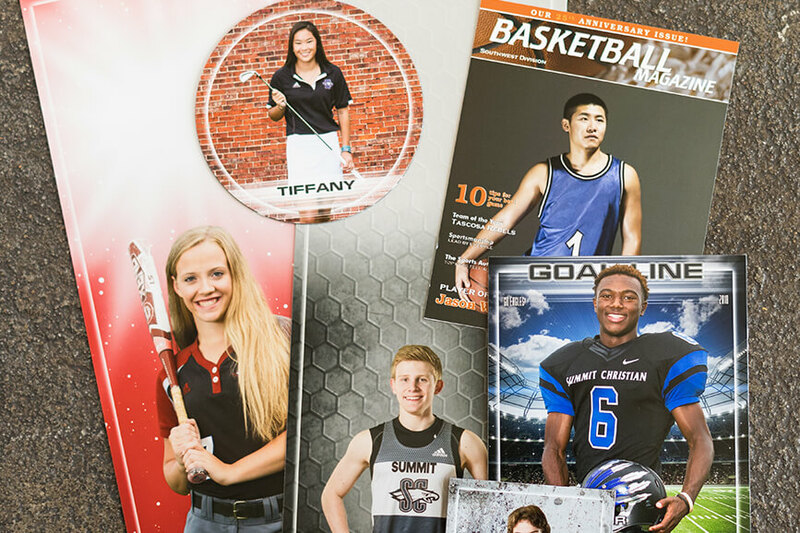 Our Knockout Sports background library gives you a fast and easy way to select a variety of styles for your individual portraits. Want something custom? No problem! You can upload your own files to add to your studio’s private background library. Choose from graphic looks in black and white or a variety of colors, sports stadiums, arenas, and industrial scenes. Knockout Sports Banners - A Game Changer! No more knocking out your own images, purchasing or creating graphic banner designs from scratch. Now, you can personalize each design with the team colors, and making unique files for every player with their names and other stats. 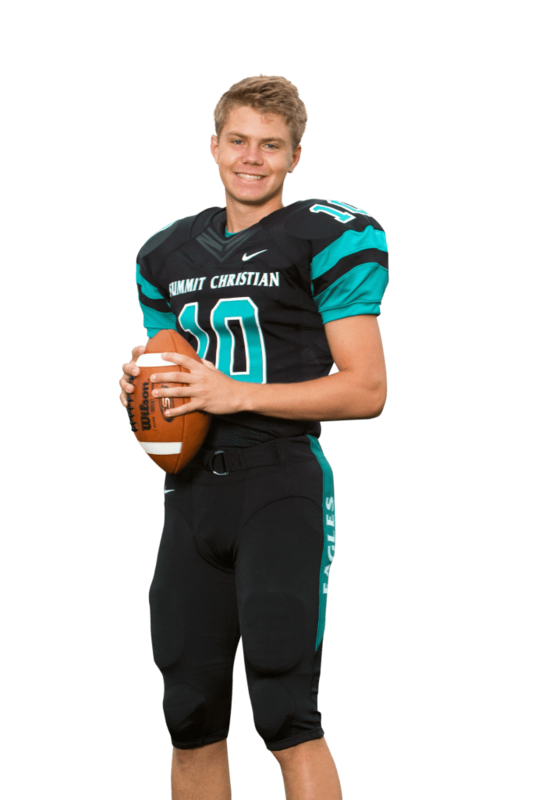 Simply photograph each player, pick your favorite design, and place your banner order. It really is that easy! Available in Reflection Pro Banners and Studio Background Banners. Seamlessly blend extracted individual images with traditional groups in these eye-catching new designs. Our template series, Geometrix Pro KO, gives your studio a dynamic edge combining image knockout with team color customization and cutting-edge background options. Choose a background, choose a team color, and choose a template to create these unique and competitive sports products. Mix and match to design a custom look for your clients! Simple and quick, saving you hours behind the computer. The five background graphics give you the choice to reveal a little or a lot of your chosen background color. Whether you make a color splash or subtly accent the team colors, you’ll have an instant hit! Geometrix Studio Background is our automated knockout sports template theme that is based on Geometric Pro but allows studios to use their own background designs. Want to incorporate specific graphics for your team’s mascot, a photograph of the stadium, sports field or school, team colors, etc.? This new theme will be perfect to fit your personalization needs. It is so easy – create your own designed backgrounds once, import them into our software and then use them over and over as H&H creates each version of each product for each athlete! It is available in both a light and dark version to accept any shade of background graphic. Pre-pay flyers are printed before an event is photographed. Brilliant, clearly printed flyers establish your brand with your customer from first contact. 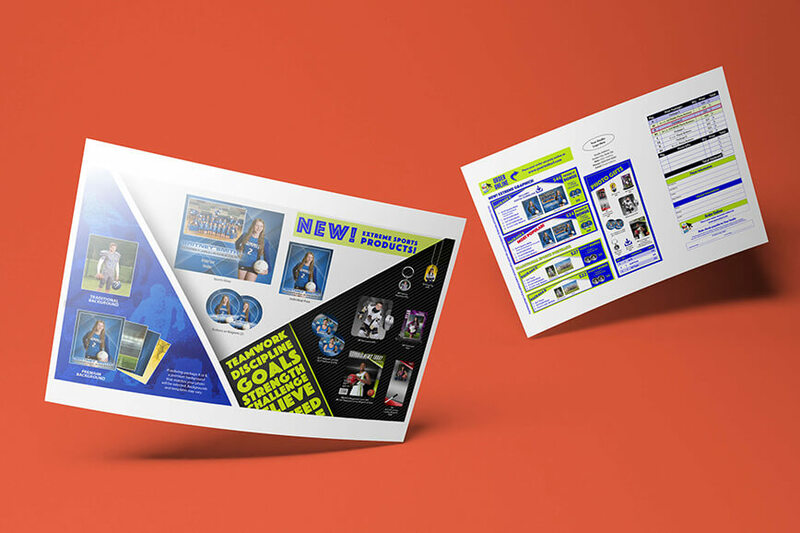 Choose one of our professionally designed flyers you can customize or design a fully custom flyer to wow your sports customers. 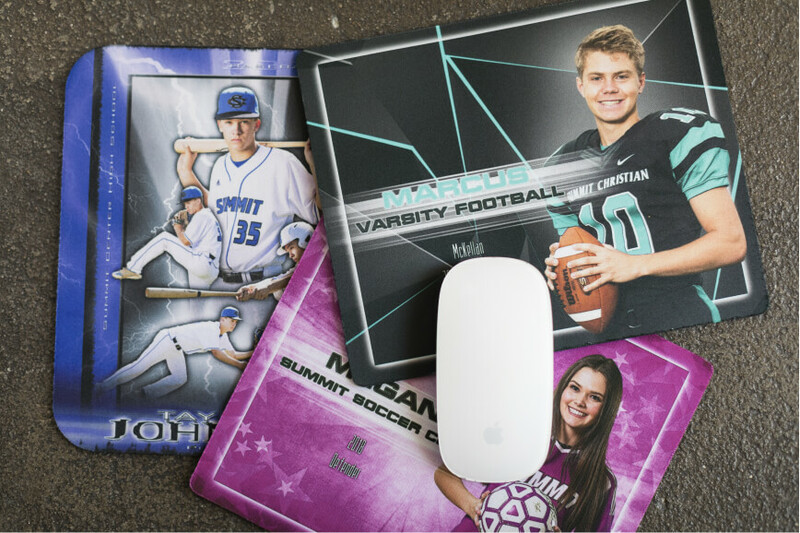 With the high sophistication of the KO sports program, we offer two sports prepay flyers have been designed and tested to clearly communicate this program while featuring the new Extreme products in a favorable and profitable manner. As such we strongly believe any flyer changes should only include price adjustments and other text changes. Pre-Pay flyers usually show generic sample images. Pre-Pay flyers DO NOT have variable data or images in any way, but you may order a different design for each event or use one design for a group of events.